The end of summer means the end of an herb garden is near. Depending on the weather, you may have several weeks to harvest fresh herbs, but I like to start cutting my plants back now and preserving as many as possible for winter. If you have a sunny spot in the house, you can bring in oregano, rosemary, and lavender which will usually survive for several months inside. I’ve had mixed luck with basil but it’s worth a try. Some herbs like rosemary and thyme are easy to dry, while others like cilantro and basil, do not dry well. This week, I have a lot of suggestions on which herbs to dry, freeze or use now (and a great pesto recipe to use up that basil). First, let’s talk about basil, which is the most commonly grown herb. There’s nothing like fresh basil, but that flavor is hard to capture. The best way to preserve basil is to make pesto and freeze it. I recommend buying mini plastic storage containers to freeze basil in smaller portions (about ½ to 1 cup at a time). My husband is a teacher and one of his co-workers, Janice Queen, makes amazing pesto. I asked her to share her recipe. Something I really like about this recipe is it calls for almonds, as well as pine nuts (pine nuts are very expensive, so this is a more economical recipe). The recipe also calls for a good dose of parsley, which is nice if you’re growing that, too. Pesto is versatile: use it as a salad dressing, toss it with pasta and fresh tomatoes, or pour it over a block of cream cheese for a quick dip (serve with crackers and French bread). Herb butters are another wonderful way to use up herbs, particularly rosemary and basil. All you have to do is soften 1 stick of unsalted butter, stir in 2 tablespoons of chopped basil or 1 tablespoon chopped rosemary. Then spread it on a slice of French bread. It’s marvelous and an easy and inexpensive addition to a party. You can also add 1 tablespoon finely minced sundried tomatoes to the butter. If I am serving it at a party, I serve it at room temperature, but if you want herb butter for your family, mold the butter back into a log, place it in plastic wrap and store it in the refrigerator for several days (rosemary butter will last longer than basil). If you have leftover herb butter, use it in pasta, on vegetables, or spread a pat on a steak. Another idea to use either fresh or dried herbs is to sprinkle herbs (thyme, oregano, rosemary or a combination are my favorites) on a mix of balsamic vinegar and extra virgin olive oil for a quick bread dip. 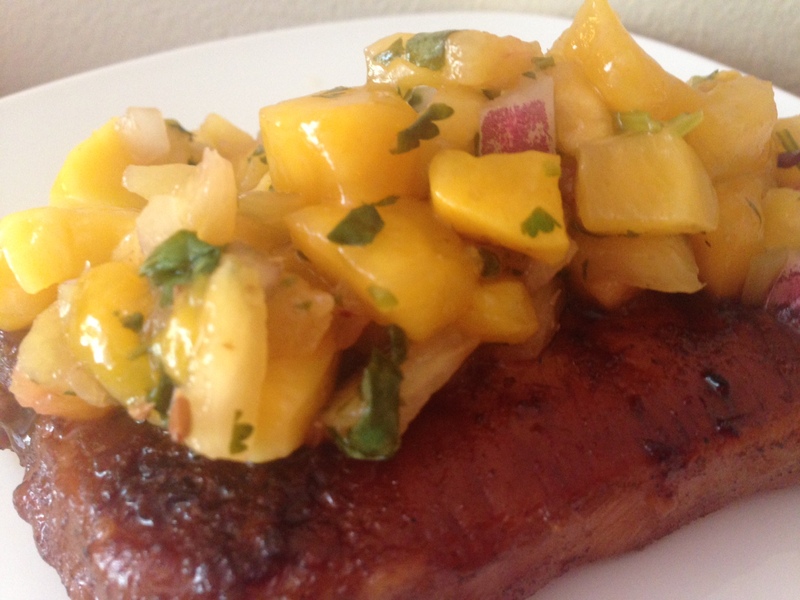 You can use that recipe to marinate vegetables that you’re going to grill, too. Be sure to add salt to both dishes though. Ok, now we’ve used fresh herbs, let’s talk about drying herbs. Before you dry any herb, you want to rinse it gently and pat it dry with a paper towel. Only dry herbs that are in perfect condition, and discard any that are wilted or changing colors. Certain herbs, like thyme and rosemary, dry beautifully. 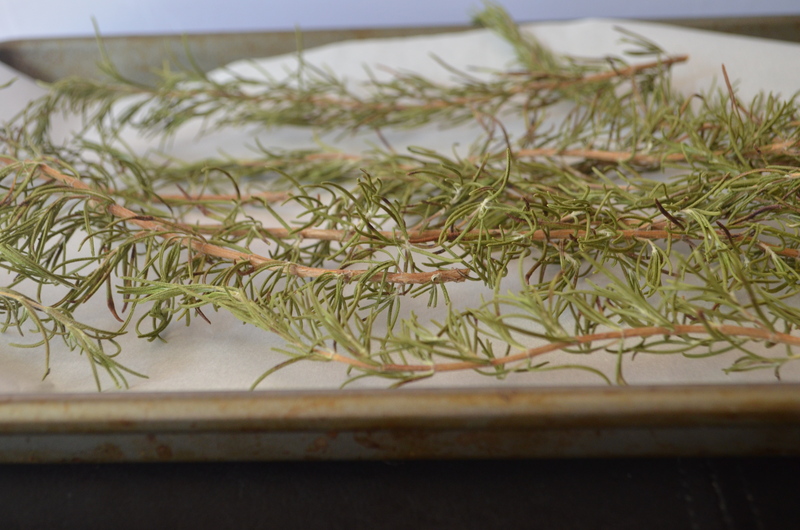 To dry these herbs all you have to do is cut off the stems, lay them on a piece of parchment paper on a pan and let it rest for about 7 days. After that, pull the leaves off and place in a spice jar away from sunlight or heat. I dry my rosemary and buy pretty glass jars and give it away at Christmas. Also, you can use dried rosemary to make an herb butter which is excellent on rolls or whipped into mashed potatoes and makes a good hostess gift. Mint and oregano have a slightly higher moisture content and are better dried after you pick the leaves off the plant. Don’t let the leaves touch each other as this may increase the chance of the herbs molding before they have a chance to dry. Place the leaves on a paper towel on a baking sheet and cover with another paper towel. Place them in an oven for 24-48 hours (turn on the light in the oven, not the heat). Leaves are ready when they crumble in your hand. My favorite thing to do with cilantro is let it go to seed and then collect those seeds which are coriander seeds (and those are expensive in the store). Coriander seeds have great flavor. Another option though is to chop cilantro, place nearly 1 tablespoon in an ice cube tray and fill it with water. Freeze. This retains some of the original cilantro flavor, but will still not be the same. Hopefully this will help you enjoy the last weeks of your herb garden and stretch that flavor into winter. In a food processor, combine the oil, garlic, almonds and Parmesan cheese. Then, feed in the herbs and blend until combined. It is so easy and freezes very well. 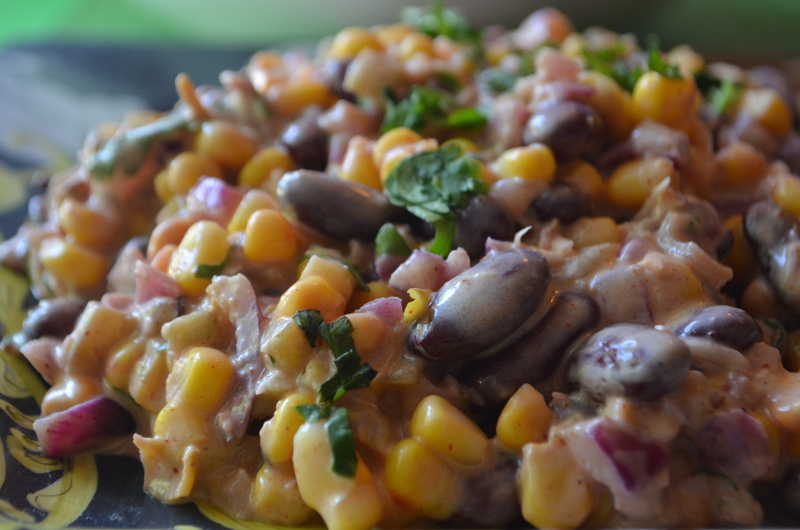 Recipe was originally adapted from Mollie Katzen’s Moosewood Cookbook. This entry was posted in Appetizers, Condiments and tagged basil, cilantro, drying, easy, fall, garden, herbs, holidays, oregano, pesto, preserve, rosemary, save, winter on September 1, 2015 by Juliana Goodwin. Why do I call this Mexican Shrimp Cocktail? Because it’s based on a dish I love at a local Mexican restaurant and that is exactly what they call it. 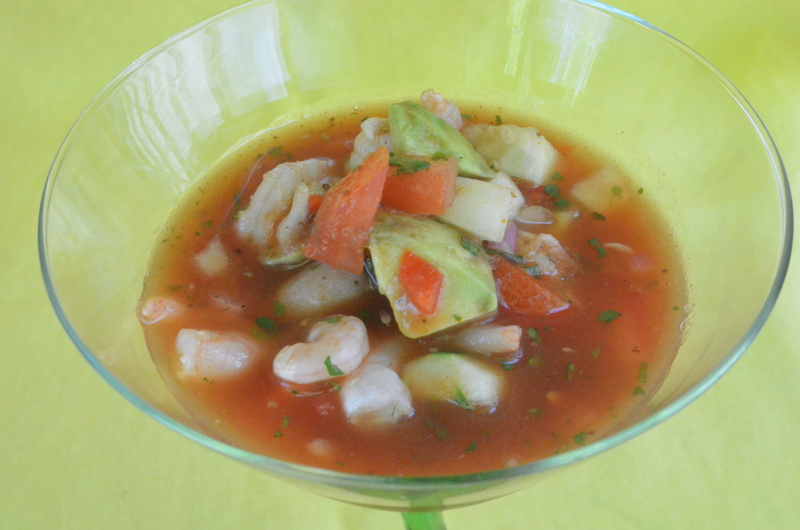 In flavor, it’s really a cross between a ceviche, salsa and shrimp cocktail. 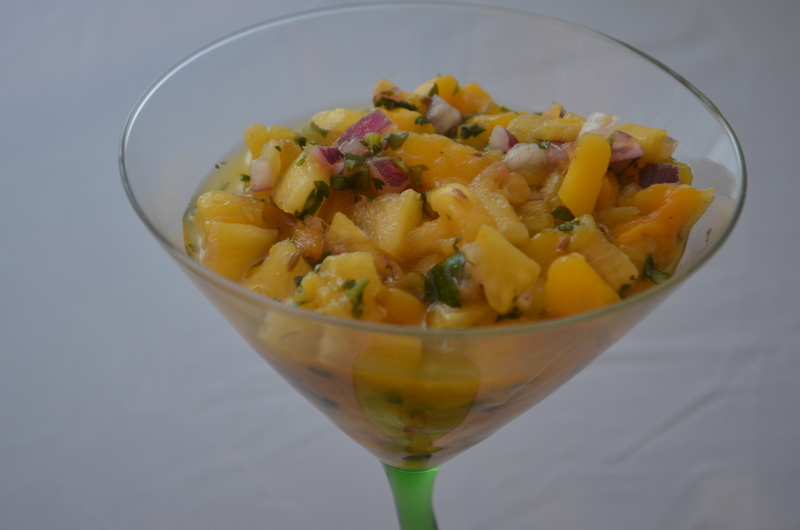 I love Ecuadorian style ceviche, which has tomato and lot of citrus. It’s served with popcorn on top, which sounds weird but is amazing. However, it’s huge pain to make. So I simplified the concept by using Zing Zang, which is one of my favorite Bloody Mary Mixes. The I add fresh lime juice, cilantro, shrimp (cooked because I live in the Midwest and would not trust raw shrimp here), tomatoes, cucumbers and chunked avocado. This is divine. It’s excellent for a summer party because it’s light and people can serve themselves. It’s fun served in martini or margarita glasses. Plus, if you have a garden, you can use the cucumbers and tomatoes out of it in this dish. Note: If you are not serving this right away, then don’t add the avocadoes until you serve it. If shrimp is frozen, follow the instructions on the package to defrost it. I defrosted mine in the refrigerator overnight. The Bloody Mary mix should be chilled in advance especially if you plan to serve this immediately. 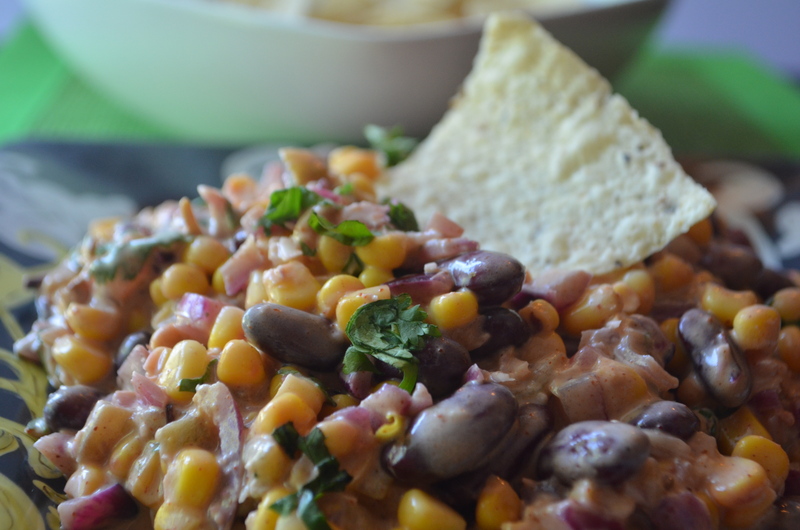 Because of the lime juice in this recipe, you want to use glass or another nonreactive bowl. Place Bloody Mary mix in the bowl and set aside. Peel and chop the cucumber; chop the tomato, onion, cilantro and red bell pepper and add to the bowl. Drain the water off your shrimp and add to the mix. Stir in lime juice and mix thoroughly. Gently fold in chopped avocado. Serve. You can serve this plain or with tortilla chips on the side. This entry was posted in Appetizers, Juliana's Favorites, Main Courses and tagged avocado, bloody mary mix, ceviche, cilantro, cucumber, lime, shrimp, tomatoes, Zing Zang on August 7, 2015 by Juliana Goodwin.